Tonight I was looking over random news stories and this one caught my eye, although not for the actual story itself. It's about the supermarket giant Aldi's and Sky's Ian King explains how Aldi could solve several issues by reversing its 1960 split through a possible buyout. But... I really don't have any interest in that. 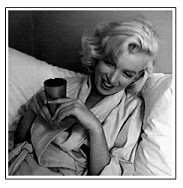 What I DO have an interest in is history of almost any kind. And although I know of Aldi's, I had no idea of it's history. Now I do. Aldi was founded in 1913 in Essen, in the industrial and mining heartlands of the Ruhr in northwestern Germany, by Anna Albrecht. In 1948 in the ruins of post-war Germany, her two sons Karl and Theo took over the running of the business. 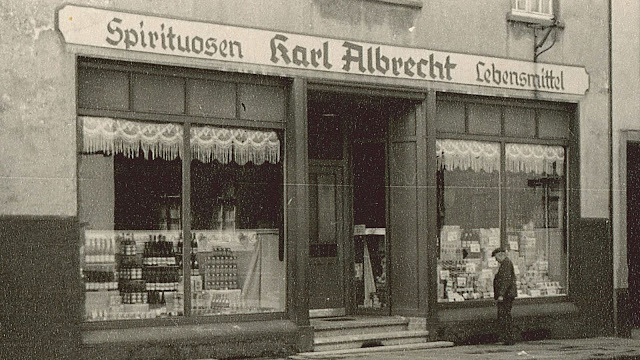 The pair eventually fell out over whether Aldi - the name comes from an abbreviation of the words 'Albrecht Diskont (Discount)' - should sell cigarettes, with Karl arguing against on the grounds that it would attract shoplifters. The upshot was that the business was split in half in 1960. Karl and his family took control of Aldi Sud, the arm of the business operating in southern Germany, the UK, Australia and Ireland and which trades under the Aldi name in the US. Theo and his family took control of Aldi Nord, the part of the business that operates in northern Germany, Belgium, the Netherlands, France and Spain and which also runs the Trader Joe's chain in the US. THAT was the "one minute history" of Aldi's I was interested in. I glanced through the rest, to see there was fighting over running the company and the extravagant lifestyle of some of the family members that own Aldi's and it's subsidiaries. I wasn't paying too much attention until I ran into another little interesting tidbit half way down. Both Karl and Theo, who were brought up in poverty after their father - a miner - was forced to retire due to emphysema, were notoriously frugal. That showed itself in the way both arms of Aldi operate to this day, with no flashy displays and customers picking products out of boxes, while the brothers themselves lived simple lives and eschewed the trappings of wealth. Theo, in particular, preferred to live a secretive life after he was kidnapped at gunpoint in 1971. A devout Catholic who attended mass every Sunday, he avoided being photographed, while taking a different route to work each day in an armoured car. As I said, the story wasn't about the history, it was actually about the fighting of the two families, and the extravagant lifestyle of "Babette" and the reading of a will recently and well... a whole lot more. It gets into the dirty laundry of the family that I really had no personal interest in but IF my readers are interested, you can read the whole article at Sky. Link at the top and the bottom of this post. Babette, it has been reported, subsequently refused to disclose to them the location of the urn containing Berthold's remains. In response, neither Babette nor her children were allowed to attend Cilly's funeral last year. Babette's public profile could not be more different from that of her late mother and father-in-law. She flaunts her wealth regularly at society events where her wealth is shown off ostentatiously, while she has also appeared on Let's Dance, the German equivalent of Strictly Come Dancing. She also fought a high-profile court case some years ago after a former friend, Dorothee Achenbach, wrote a novel called Now Everyone Knows My Laundry in which, Babette claimed, the main character - a greedy individual who indulged in an extra-marital affair - was based on her.